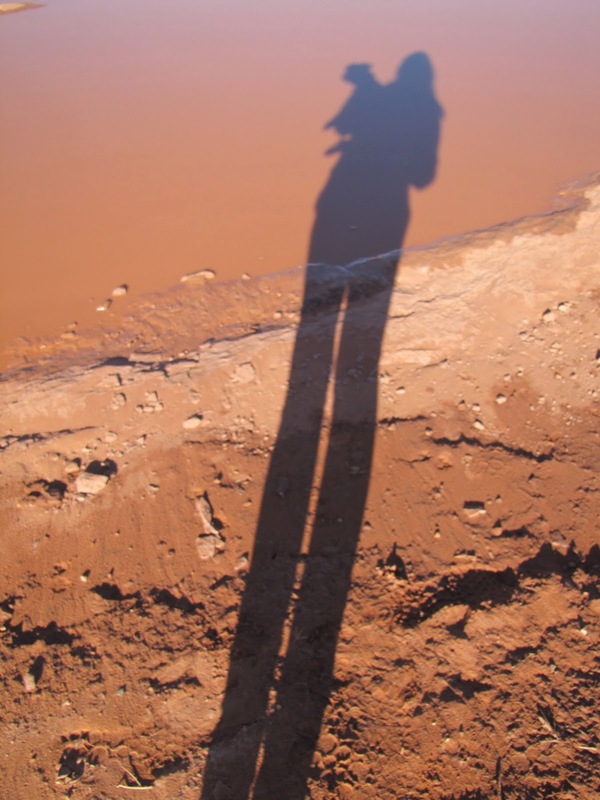 Shadows are the casting of an image, an angle, or a shape. 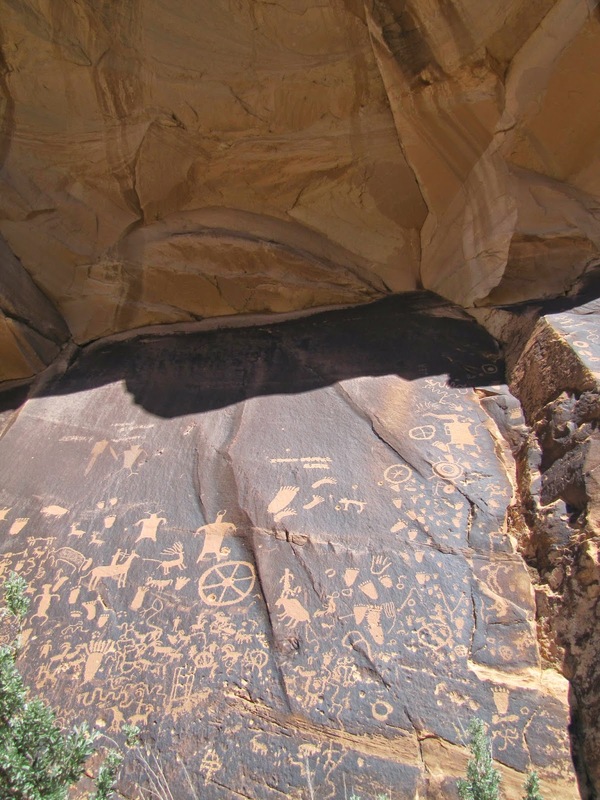 In Canyonlands the petroglyphs (carved into stone) and pictographs (painted on stone) both resemble simple shadows. The simplicity of the drawings is deceiving. Compared to a Renoir or a Van Gogh, one might see them without giving them much artistic merit. Swinging into a parking lot, walking twenty feet to see the “Newspaper Wall", and then getting back into your car to head to the next view isn’t the best way to appreciate this art, although it is a start. Invited to walk a canyon by the gentleman in this picture, gave me a different, new level of appreciation. This man casts a long shadow. 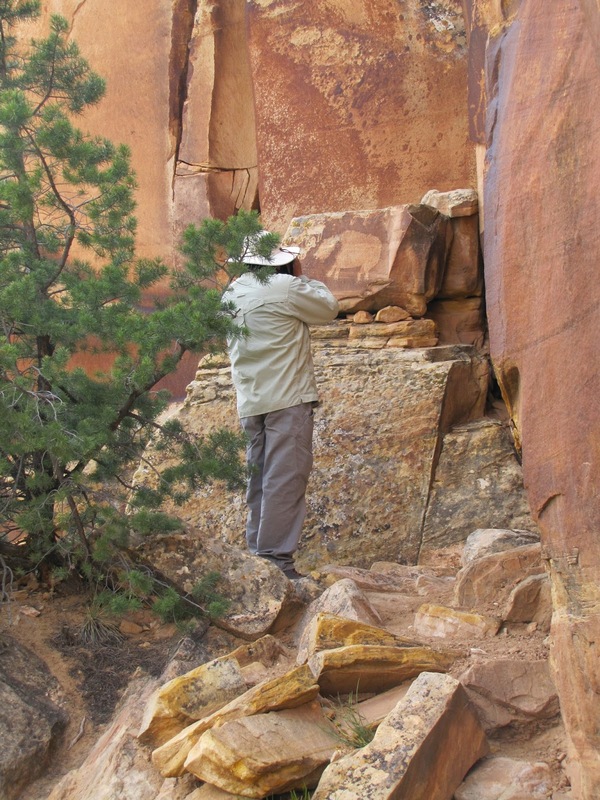 He has visited the Canyonlands for thirty years exploring the back country by jeep, bike, hiking and off-road motorcycle. He shares his knowledge with an unassuming and gracious manner. Shay canyon is a place that speaks to his spirit. 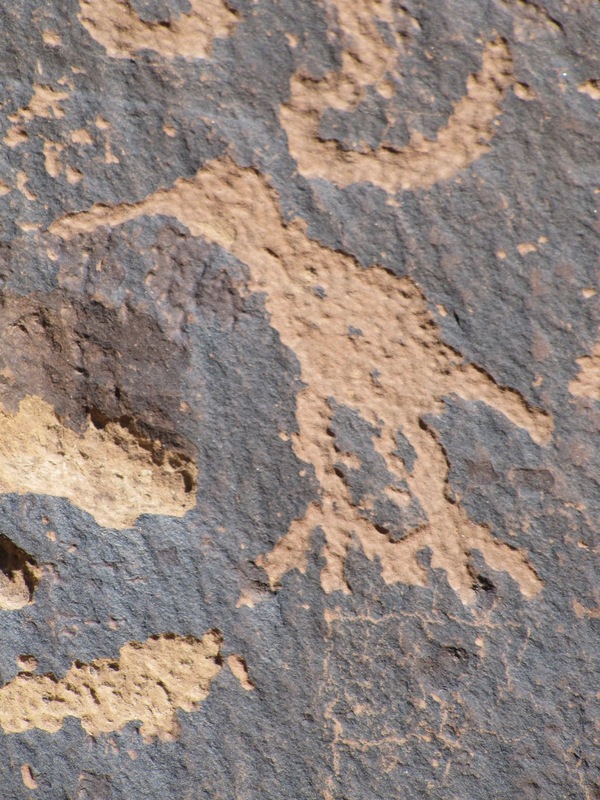 We went to look for this bear petroglyph. 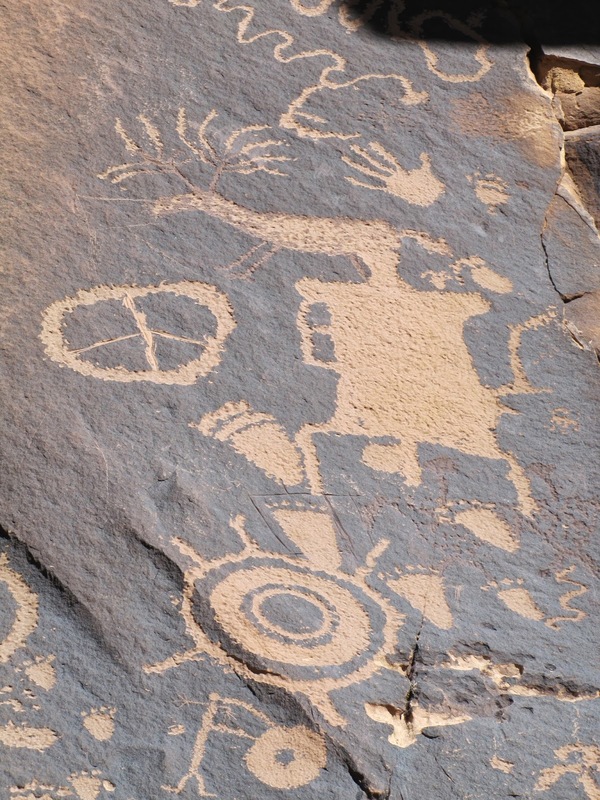 Preceding the bear is a hundred foot wall carved with petroglyphs. Getting to the wall takes climbing above the pile of rubble at the base of canyon cliff. The site is near a road, but is not obvious until one is within a few feet of the drawings. The art is carved with chisels made from stone. 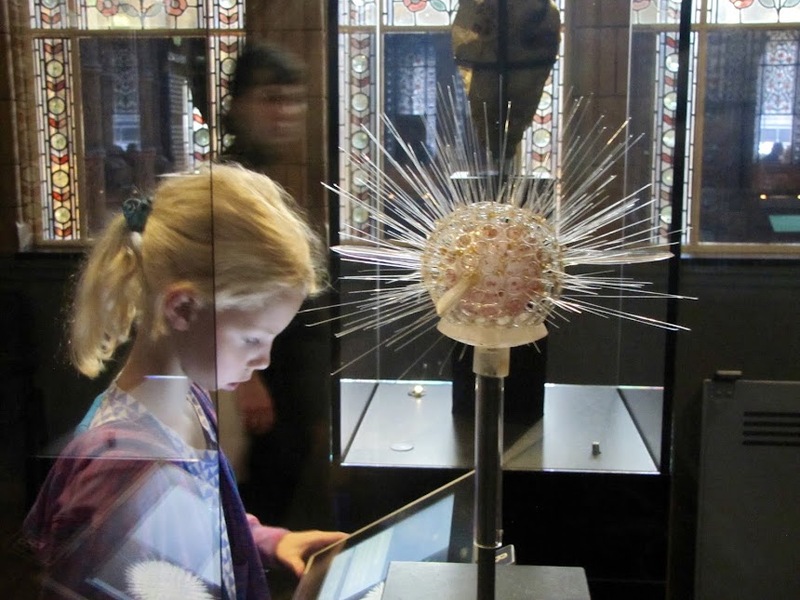 These artists had to find the right tool or even make the right tool. 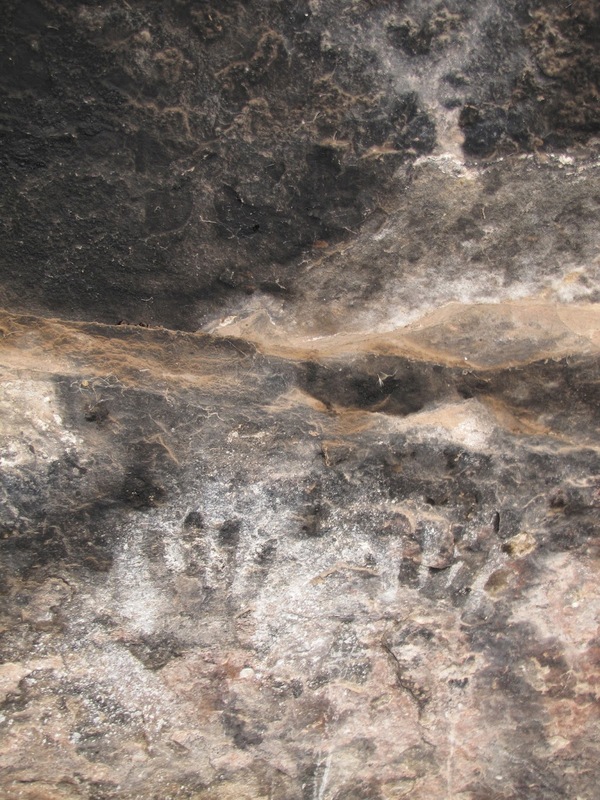 Pigment for pictographs were collected, ground and mixed with urine, blood or other binding agent. Their brushes were made from yucca. They had to travel on foot possibly many miles to a rock site with the right surface. Their art wasn’t going to be sold to make a living. There wasn't going to be any advertising to promote it. Few might ever see it. I began to appreciate the difficulty of the execution of these simple drawings. The carvings and paintings depicted animals, hunts, tallies, families, mountains and life. The carvings condensed stories or references into an art with a permanence of centuries. I began to look for the animals and the birds trying to identify the species. Audubon references from thousands of years ago. I smiled to see hands, albums of hands recording communities and families. The overhang in the photo below sheltered these imprints. The cave and the cliffs were as elegant as the design of any modern museum of art. I came to appreciate the simplicity of the art set within their stunning and remote surroundings. The rain left a huge puddle at the foot of my campsite. I enjoyed seeing vehicles roar through the muddy red water. As the puddle began to reside, I noticed that the mud particles had settled and the surface began to reflect bushes and the sky. I walked down to record the reflection of the sky and found my shadow. The simple form seemed the perfect was to record a petroglyph-like shape of pup and I in the suspended stone. I doubt it will last a thousand years!